As the nation mourned the deaths of nine murdered at Emanuel AME Church, the Black Lives Matter movement held its first national retreat. From around the country, activists came together in Detroit to discuss national strategy and share tools and best practices to affect change. But they were also there to help each other heal. While the involvement of church groups and traditional religious leaders in various aspects of Black Lives Matter has been noted by news outlets, there is another spirit that animates the Black Lives Matter movement, one that has received little attention but is essential to a new generation of civil rights activists. When you think of the #BlackLivesMatter movement in the United States, you may think of Ferguson. You may think of Baltimore. You may think of the now-iconic image of Howard University students, hands up in the air, or statements like “I Can’t Breathe.” It may be the list of hashtagged names that grows larger every 28 hours. But something else has stood out to me. Images of a white-clad black woman burning sage across a militarized police line. Altars using sacred images and symbols from multiple faiths placed to hold space for those murdered. Events ending with prayers for the oppressed. Protests called “ceremonies” in front of Los Angeles Mayor Eric Garcetti’s house, with attendees asked to wear all white. In June, activists posted videos from the retreat hashtagged with #blackjoy as a reprieve from the rage and sadness. Black Lives Matter chapters and affiliated groups are expressing a type of spiritual practice that makes use of the language of health and wellness to impart meaning, heal grief and trauma, combat burn-out and encourage organizational efficiency. An embodiment of that spirit is Patrisse Marie Cullors-Brignac. Recently dubbed one of the nation’s top civil rights leaders by Los Angeles Times, named a NAACP History Maker in 2015 and one of the three founders of #BlackLivesMatter, Cullors is a person dedicated to not only transforming how her community is treated, but how her community organizes and understands itself. She is a queer polyamorous practitioner of Ifà, a religious tradition from Nigeria, and a person many people turn to not only as a political leader but as a spiritual leader. I sat down (virtually) with Cullors to find out about what the role of spirit is in the Black Lives Matter movement. Cullors grew up as a Jehovah’s Witness, but left the tradition at an early age. She watched her mother leave the fellowship several times. “At any given moment, the elders, which were all men, could decide if you were going to be disassociated from the fellowship in the Kingdom Hall,” she recalled. Such an environment left her with a deep sense of shame. “By 12, 13, I knew that this was not the place for me, but I felt very connected to spirit. So the question became, what is the place for me?” she said. She turned to her great-grandmother, who is from the Choctaw and Blackfoot tribes, and talked to her about her great-grandfather, a medicine man. Her interest in indigenous spirituality led to Ifà. For Cullors, spirituality saves souls. “The fight to save your life is a spiritual fight,” she said. And according the Cullors, the “healing justice networks” are growing. Groups are being founded, such as Harriet’s Apothecary in New York, Social Transformation Project and Black Organizing for Leadership & Dignity (BOLD), which uses somatics—a practice often used in alternative medicine and psychoptherapy—as tools to “transform” and empower leaders. One reason for this growth may have to do with a key shift in ideology. DPN actively works to dismantle the martyr mentality, an ethic that causes many activists, humanitarian workers, community organizers and volunteers to burn out by devoting themselves almost entirely to the cause. DPN uses a language focused on self-care to advance the opposite notion — that you must take care of yourself first. While Cullors’s political prowess, devotion to community activism and critical understanding of community leadership and hashtag-avism has been featured in Essence, Ebony, the LA Times, and other publications, her dedication to radical healing, spiritual practice and self-care has not been covered. But it should be. The influence and involvement of black religious leaders in civil rights movements in the U.S. has been well noted. The Black church, along with the Nation of Islam and notable Black Muslims, have been fundamental to political advancements in the African American community. Yet, the discussion of faith-based involvement in the black civil rights movements remains (mostly) hetero-normative and almost exclusively male. As the black community grapples with the terrorism against it, the work of Patrisse Cullors and the Black Lives Matter movement expands the definition of “faith-based,” and offers alternate notions of faith, self-care and wellness as resistance to disrupt a martyr mentality and heal those within traumatized communities. 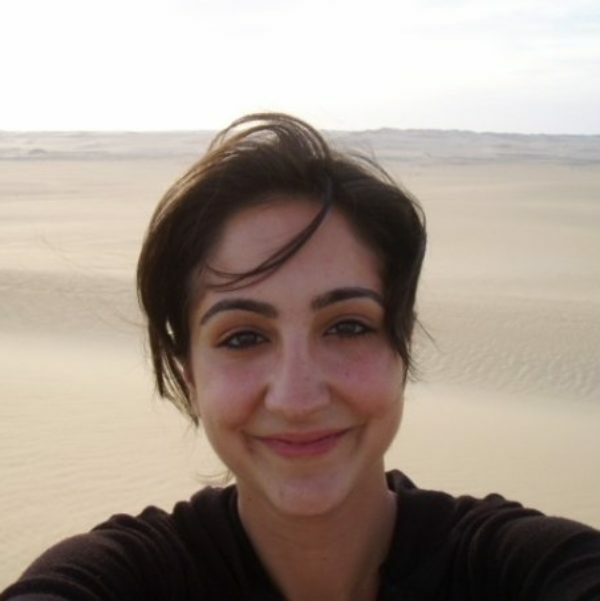 Hebah H. Farrag is assistant director of research at the USC Center for Religion and Civic Culture. She is a graduate from the American University in Cairo (AUC) receiving a Masters in Middle East Studies. She also holds a Bachelor of Arts in Political Science and International Relations from the University of Southern California and a Graduate Diploma in Forced Migration and Refugee Studies from the AUC. Hebah has worked for and with organizations such as the Levantine Cultural Center, the Youth Policy Institute, Human Rights Watch, the Council on American-Islamic Relations (CAIR), Global Exchange, and Casa Del Pueblo, traveling on delegations to conduct research in places such as Cuba, Egypt, Lebanon, Jordan, and Chiapas, Mexico.